Conspiracy theorists believe in a lot of crackpot ideas and deserve their reputation as an amusing distraction, but once in awhile, they get one right, and just one is all it would have ever taken to keep the rest of the theories going forever. Below are ten American conspiracies that are no longer theories, but proven true, no matter how absurdly unbelievable you may find them. Conspiracy theorists like to point out that the government (usually the U. S. government) is poisoning the national populace, which is blissfully unaware, via chemtrails and/or flouridation. How laughable, most of us say, and yet, although there is no proof of these two, the FBI did, in truth, poison liquor stores during Prohibition for the purpose of “dissuading” people from that demon hooch. Prohibition lasted from 1920 to 1933 in the U. S., and was absolutely unenforceable. Everyone of the public knew perfectly well that a drink now and then was not at all harmful, and refused to accept its absence. 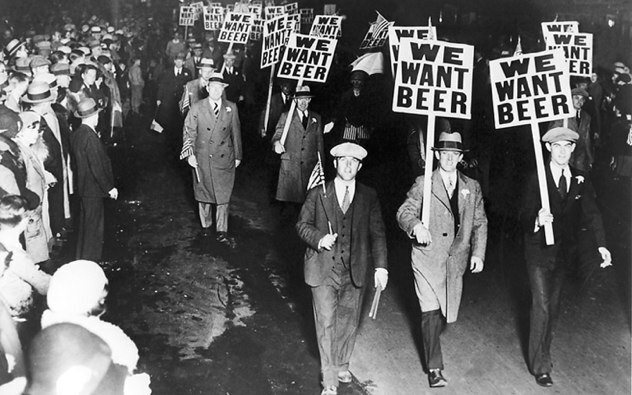 Prohibition was impelled by the Temperance Movement, which promoted teetotalism, or utter abstinence from alcohol. Its most prominent activist was Carrie Nation, a 6-foot, 180-pound, blue-haired battle axe, who stormed into bars and smashed their kegs open with a hatchet. Amazingly, no drunks ever beat her up for this. Once Prohibition went into effect, the FBI saw fit to enforce it as well as possible, since the law is the law, and, by adding potentially fatal impurities to it, endeavored to teach the public that it was going to lose with Mr. Booze. These impurities included methane, formaldehyde, ammonia, and even arsenic and kerosene. But the FBI’s usual method, without informing the populace, of course, was to denature drinkable alcohol, which is called ethanol, by adding rubbing alcohol, which is made of water and propene. 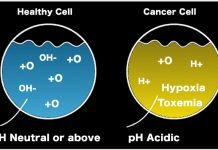 Propene is distilled from natural gas and oil; rubbing alcohol does a fine job cleaning wounds and preventing infection, but will destroy your intestines, kidneys, and liver if you drink it. The FBI also added acetone, which is paint thinner. Not surprisingly, people started dying quite readily from what seemed alcohol intoxication, and this only fueled the Temperance Movement’s assertion that alcohol is the Devil. In history books, the Gulf of Tonkin incident is usually cited as the immediate instigation for war between the United States and North Vietnam. The general casus belli was to protect the democracy of South Vietnam from the North’s communist aggression. The straw that was seen in the West as breaking the camel’s back was when, on 2 and 4 August 1964, in the waters between Vietnam and Hainan, China, U. S. naval vessels were attacked by Vietnamese naval vessels and defended themselves, killing some Vietnamese sailors. American public sentiment called for immediate retaliation, and the Congress resolved that Lyndon Johnson could defend any Southeast Asian nation from Communism. The war was on. What the public was not told for a long time was that the incident on 4 August did not take place. The first incident was a legitimate naval battle, in which the USS Maddox fought off three Vietnamese torpedo boats and killed 4 Vietnamese sailors. 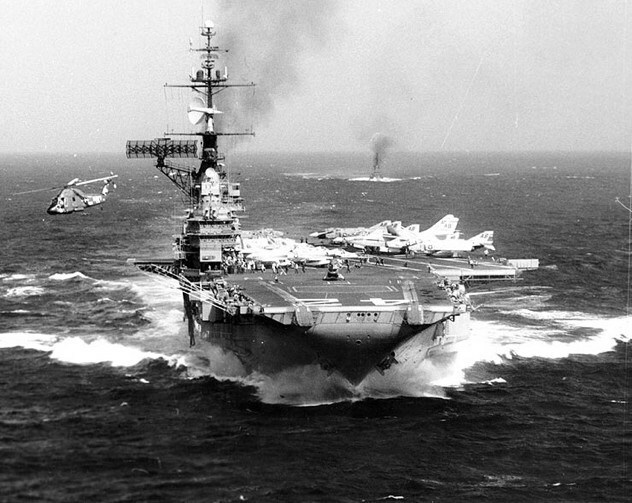 But two days later, the Vietnamese were engaged in salvaging their vessels and no hostilities erupted. Nevertheless, Johnson informed the public that the Maddox and the USS Turner Joy had been attacked in separate battles. The Turner Joy had not been attacked. In keeping with #3, the CIA was for a time regarded as having deliberately spread this false information among the national public to sway favor toward war against Communism. Dozens of senators and congressmen were calling for land invasions of North Vietnam, and then China, and then Russia if they dared retaliate, nuclear weapons be damned. Today, we know that the misinformation was spread by the National Security Agency, and not for political reasons, but to cover up genuine mistakes they made during the second incident: their radar showed what they thought were approaching enemy warships, but which were, in truth, tricks of light that confused their equipment. In 1933, Franklin Roosevelt deemed it beneficial to the American economy to abandon the gold standard and operate on a pure American currency basis. This had proven very helpful in Great Britain in lowering the cost of products and boosting the citizens’ buying power. Many conservative businessmen of the time deemed the gold standard essential for a strong economy, since gold does not devalue like a nominative currency. 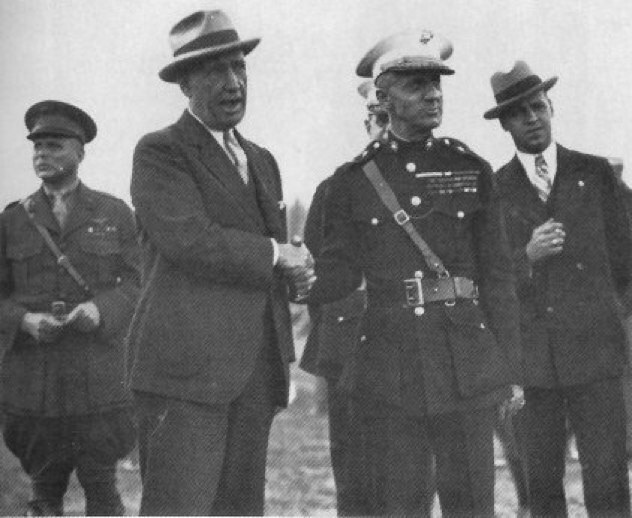 Major General Smedley Butler testified before a senate subcommittee a year later that he had been approached by Gerald MacGuire and William Doyle of the American Legion veterans’ organization. They confided in Butler whether he would have any part in a military coup d’etat to oust Roosevelt and set up a Fascist government with Butler as its head commander, Secretary of General Affairs. Their motive was money, of course, since they and their friends had their fingers in a lot of business pies. Butler was pro-Communist in light of what he viewed as Roosevelt’s very foolish ideas on the American economy, but Butler was not about to agree to the impossible. In his opinion, the United States government could not be successfully overthrown. To do so would entail a total military siege of every major city in the nation, especially Washington, D. C. So he ratted on the Fascist businessmen. His testimony earned a mixed reception from the subcommittee, which declared that there probably had been a conspiracy to stage a coup in favor of a Fascist system of government, but that it never left square one, and that most of the public figures Butler implicated, many of them retired generals and millionaire bankers, had nothing to do with it. Nayirah al-Sabah was a woman in Kuwait who, in 1990, testified on the floor of the House of Representatives that she had personally witnessed Iraqi soldiers invade Kuwaiti hospitals and take newborn infants out of their incubators and throw them onto the cold floor to freeze to death. Nayirah was invited primarily by Tom Lantos, who had made no secret of his desire that the U. S. retaliate against Iraq for its offenses against Kuwait. It was Nayirah’s testimony that provided the largest part of the foundation for American public opinion in favor of military force against Iraq, and the CIA was responsible for organizing the funds and advertisements to disseminate Nayirah’s testimony. They enlisted the help of Hill & Knowlton, a global public relations corporation that specializes in marketing, to reach the masses. It was not until 1992 that John MacArthur of the New York Times discovered Nayirah was the daughter of the Kuwaiti Ambassador the U. S., and that her story had been utterly fabricated. Thus was it shown that the CIA assisted a few powers-that-were in America in waging war with Iraq for another purpose, and that purpose was oil. The Iraqis did invade Kuwait and should not have done so, but they did not throw babies out of incubators. The nurses and doctors who supposedly witnessed this with Nayirah had already fled, and most of them stated that she was lying. The CIA had paid her to lie, and even paid for her to attend acting classes to appear convincing. It worked. Mockingbird began the same year that the Office of Special Projects was founded by Frank Wisner. In 1951, the OSP, renamed Office of Policy Coordination, merged with the CIA and became the agency’s covert paramilitary branch. Its first and principle assignment was to influence national media toward the hatred and fear of Soviet Communism. The CIA funded the operation with money from the Marshall Plan, and bribed journalists and newspaper editors who grew wise to their ulterior motive. Mockingbird led, directly and immediately, to Senator Joseph McCarthy’s rise to power. 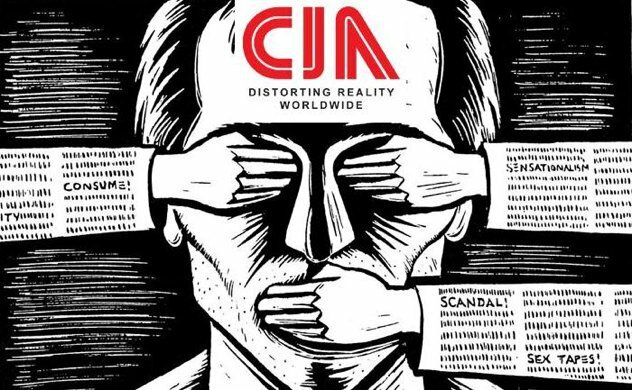 The operation became so widespread that the CIA started influencing international media and even international politics. It was due in large part to Mockingbird that Guatemala staged a coup d’etat against Colonel Jacobo Guzman, whom the CIA deemed communist. Mockingbird was responsible for $300,000 of the funding of the 1954 Animal Farm cartoon. They asked Walt Disney if he wanted to make the film, and he balked at the prospect. He was anti-Communist, but the novel does not end happily, and Disney wanted nothing to do with such a story. Mockingbird also incited the 1953 Iranian coup d’etat and the Bay of Pigs Invasion. David Bruce, appointed by Dwight Eisenhower to investigate this covert propaganda, stated that Mockingbird is responsible for over 50% of international politics over the last half of the 20th Century. 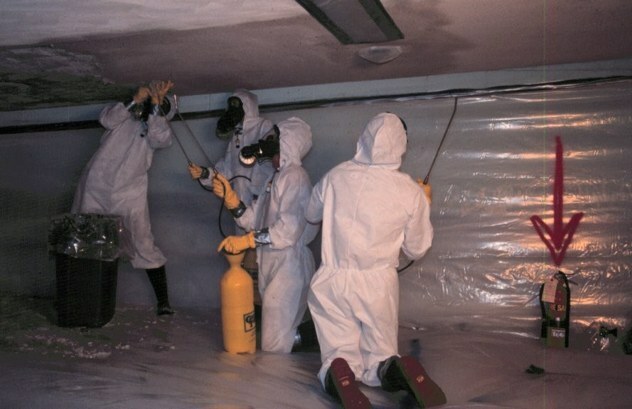 Asbestos is a natural silicate mineral compound long used for sound-proofing and fire-retardation, among many others. It is extremely resistant to burning, and was used for the majority of the 20th Century as a protective suit for fire fighters, race car drivers, and many other high-risk occupations. Motorcyclist, stuntman, and actor Steve McQueen died from malignant mesothelioma, which is the cancer usually caused by inhaling asbestos fibers. Asbestos has been in use for about 4,500 years, mined in the form of fibrous, hair-like material on and within rock ore, and the 20th Century companies that mass-produced asbestos were beset from 1900 to 1981 by doctors, insurance companies, and occupational hazard organizations who investigated the adverse health effects of asbestos. It was well known in academic and medical circles since at least the turn of the century that asbestos was very dangerous to be around. Even the Ancient Greeks described asbestos miners as suffering from lung ailments. Yet the companies that mass-produced found it big business and did everything within their considerable power to cover up the truth about asbestosis, mesothelioma, and pulmonary fibrosis; these companies included Johns-Manville Corp., Amatex, Carey-Canada, Celotex, Unarco, National Gypsum, and Eagle-Pilcher. Every one of these companies attempted to destroy the reputations of any independent medical authorities who sought to disclose the truth about asbestos. Physicians employed by the companies informed their superiors that asbestos does indeed cause severe health problems, but that as long as the workers are able to perform their duties, they should not be told of their medical conditions, since this would cause the companies financial woes. Johns-Manville was labeled “the greatest corporate mass-murderer in history.” It was not until the 1990s that lawsuits, the first of which cropped up in 1929, finally took their toll on these companies, none of which ever admitted to any wrongdoing, and 25 of them filed for bankruptcy. Many were bought by others, and today, asbestos is still legally produced and used in the United States, and some of the companies still maintain that it causes their employees no medical problems. It is banned in Europe. 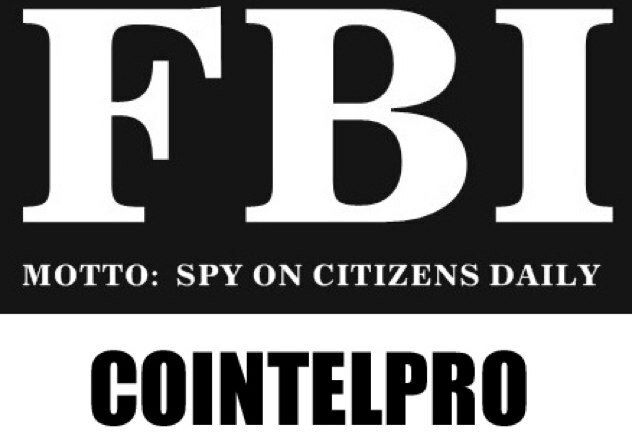 The FBI referred to this as COINTELPRO, or Counter Intelligence Programs, specifically those targeted at activists of almost any organization from 1956 to 1971. During those years of turmoil, Martin Luther King was the primary spokesperson for civil rights in America, and the FBI considered him and his movement equivalent to the Black Panthers, the American Indian Movement, the NAACP, the Congress for Racial Equality, and dozens of others all striving to attain equal rights for all races. COINTELPRO referred to all of these groups and movements as “black hate groups,” even the American Indian Movement, and spent 85% of its money on attempts to subvert them; the remaining 15% it spent on the subversion of “white hate groups” like the KKK. It is highly possible, albeit very unlikely, that the FBI in some way coerced James Earl Ray into killing Martin Luther King, or simply did the job themselves and pinned it on Ray. King’s family concluded in 1998 that Ray had nothing at all to do with the assassination. All these domestic political organizations and movements, as the FBI labeled them, were deemed threats to national security. If he had done his thing in America in the 20th Century, it is probable that the FBI would have considered Jesus guilty of the same kind of sedition. In general, COINTELPRO targeted the entire left wing of political thought; anyone liberal was seen as a danger to American society and slandered in print, sued or threatened with imprisonment, imprisoned, and illegally wiretapped. What may well be the FBI’s most shocking atrocity occurred on 4 December 1969, when the home of Fred Hampton, a Black Panther Party officer, was invaded by the Chicago Police, who used deadly force against him and Mark Clark. Clark was shot first, and Hampton was unable to wake to the sound of gunfire because FBI agent William O’Neal had infiltrated their organization and spiked Hampton’s supper with barbiturates. The police shot him to death while he slept unarmed in bed. This embarrassing moment in Scientology’s history was called “Operations ‘Daniel,’ ‘Dynamite,’ and ‘Freakout,’ and entailed the Church harassing Cooper with unbelievable intensity. Paulette Cooper is an American author who has written defamatory literature against the Church of Scientology. Scientologists are extremely easy to offend in this way, and undertake legitimate and illegal retaliation whenever they see fit. Cooper published an article in a British newspaper in 1971 that the Church sued to have withdrawn and won $8,000 from the newspaper. Cooper then promptly expanded this article into an entire book, The Scandal of Scientology. 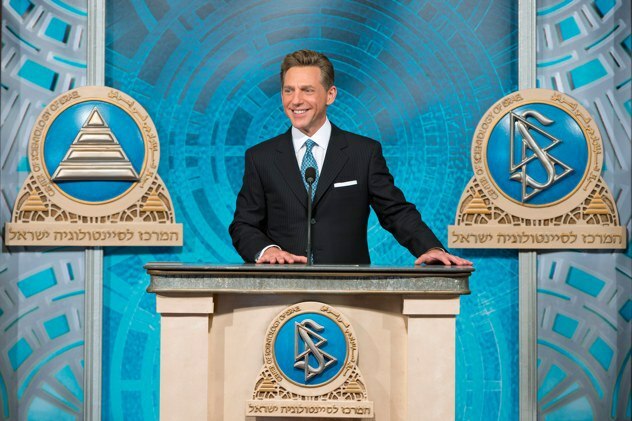 For the next 6 years, the Church ran a covert mission to vilify, defame, ridicule, harass, threaten, and even assassinate Cooper, all with the intent to make her shut up about exposing Scientology’s idiotic beliefs (read: the story of Xenu). Their goal was either to cause Cooper to go insane from the constant stress, or convince the authorities that she was insane, in either event leading to her committal or imprisonment. Over the years, as both sides threatened, pursued, and made good on civil legal actions, the Church held meetings to discuss how they could kill Cooper and not get caught. A member broke into Cooper’s office in 1972 and stole a bundle of her stationery, then forged bomb threats on it to blackmail her. This worked to a small extent; Cooper was indicted and brought before a grand jury, but there was insufficient evidence to proceed. “Freakout” consisted of a three-point plan to discredit Cooper in the public’s eyes, by having a professionally-trained actress impersonate Cooper on the telephone to Arab Consuls in New York. Then her stationery would be used for another bomb threat to be mailed to one of these Consuls. Then a Scientologist would act as Cooper in person in a New York laundromat, threatening to kill President Ford and Henry Kissinger. Though “Freakout” was never implemented, Daniel and Dynamite certainly were and the astounding truth of how far the Church of Scientology had gone, and was prepared to go, to protect its false image was revealed in 1977 by a full-scale FBI investigation. L. Ron Hubbard’s third wife, Mary Sue, and a host of other officers in the Church, were imprisoned for up to 4 years. They still did not stop slandering and libeling Cooper, filing suit against her 20 times through the 1970s and 1980s. To Cooper’s credit, she fought right back the whole way, and the spectacle remained tooth-and-nail until 1985 when the Church finally paid Cooper a tidy sum out of court. The Joint Chiefs are the 5 generals and admirals in charge of the 5 branches of the U. S military. In 1962, those men were George Decker (Army), David Shoup (Marines), Georg Anderson, Jr. (Navy), Curtis LeMay (Air Force), and Edwin Roland (Coast Guard), along with a few others, all chaired by Lyman Lemnitzer (Army). The entire board of the Joint Chiefs of Staff proposed, drafted, and agreed on a plan to concoct a casus belli for war against Communist Cuba, under Fidel Castro. Their collective motive was to reduce the constant threat of Communist encroachment into the Western Hemisphere, per the Monroe Doctrine. This plan was named Operation Northwoods, and entailed the most impossibly indifferent cruelty ever envisioned by a government against its own people. In order to sway public sentiment in favor of the war, the Joint Chiefs planned to bomb high pedestrian-traffic areas in major American cities, including Miami, New York, Washington, D. C., and possibly Chicago and Los Angeles; to frame U. S. citizens for these bombings; to shoot innocent, unarmed civilians on the streets in full view of hundreds of witnesses; to napalm military and merchant vessels in port, while people were aboard; to sink vessels carrying Cuban refugees bound for Florida; to hijack planes for ransom. Not only did every single member of the Joint Chiefs sign his approval of this plan, they then sent it to Secretary of Defense Robert McNamara for his approval, and then to President Kennedy. McNamara claimed years later never to have seen it, but that he would have rejected it. Kennedy, however, did receive it, and promptly called a meeting of the Joint Chiefs, in which he threatened, with severe profanity, to court martial and incarcerate every one of them. The President cannot actually do this, but can order the Congress and military branches to do so, and in these circumstances, they most certainly would have. 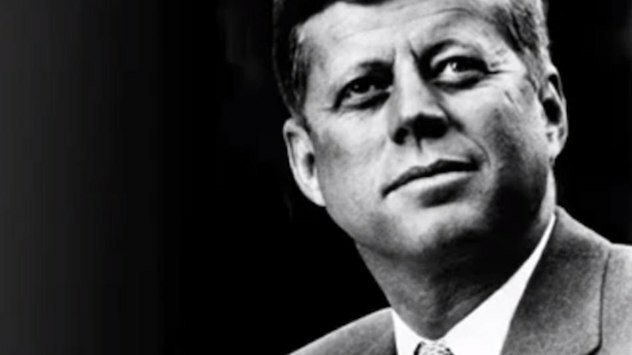 But Kennedy decided that it would cause irreparable disrespect around the world for the U. S. military. He did remove Lemnitzer from his position as Chairman and assign him as Supreme Allied Commander in Europe, not much of a demotion. Theorists claim that the military may have had a hand in Kennedy’s assassination because of his blistering rebuke of the Joint Chiefs. This, however, remains unproven. This weapon exists. The CIA actually invented it with taxpayer money in the late 1960s to early 1970s. It was not disclosed until 1975, when Senator Frank Church displayed it to a subcommittee investigating the CIA’s illegal activities. They are specifically forbidden from directly killing anyone in the performance of espionage and intelligence-gathering. The gun was designed to be untraceable. 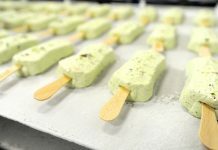 It fires a bullet made of ice, about 0.11 inches wide, less than the diameter of a BB, which has been brushed with a minute amount of shellfish toxin. This toxin induces a myocardial infarction in any human, regardless of size or physical fitness. The bullet then melts leaving no trace of any kind. Autopsies would discover the presence of shellfish toxin in the bloodstream, but if the victim has died of a legitimate heart attack, unnaturally induced or not, an autopsy is unlikely. The entrance wound of the dart would appear about as minor as a mosquito bite. 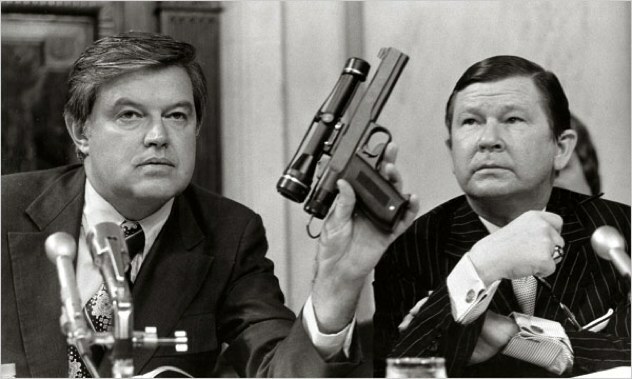 There is no consensus on who, if anyone, the CIA has assassinated with this gun, but it is most likely that they have used it. Theorists point to Andrew Breitbart, a conservative media mogul who published less than flattering stories and details about President Barack Obama. He had promised in the months prior to his death that he would publish proof that Obama’s presidency was illegitimate. Breitbart collapsed on the sidewalk in a Brentwood neighborhood of Los Angeles on 1 March 2012 and was taken to a hospital where he died of a massive heart attack at the age of 43, despite being relatively fine health. He was not seriously overweight, but the coroner report states that cardiomegaly caused his heart to fail. It is possible that the gun was used to assassinate Mark Pittman, the financial journalist who, in 2007, predicted the ongoing American economic recession, which was caused by subprime mortgaging. During the subsequent federal bailouts of major financial companies, Pittman famously sued the Federal Reserve for mishandling taxpayer money. The case is still on appeal. Pittman, however, died on 25 November 2009 in Yonkers, New York, in the very same circumstances as Breitbart. He was walking down the sidewalk and collapsed from a heart attack. He was 52. but possible victims notwithstanding, the heart attack gun does exist, and the CIA invented it. They could have had only one purpose in store for it. The conspiracy theorists got this one right.